A good massage parlour will include complimentary hot herbal tea, loose clothing, maybe paper underwear for a full body rub, and a towel to pat off any oil used during the massage. It will last typically an hour and is generally performed on a raised mattress on the floor or a platform. They’re also incredibly cheap and cost on average about 350 baht (approximately £8). Should you opt for the traditional Thai massage, we’d advise going to a recommended salon where you know the masseuses have had proper training – spines can be fragile! If you are getting a massage with friends, they will usually leave the curtains between you open. A word of advice: if this is the case, do not at any point during the session open your eyes, unless you wish to see your friend’s foot by their ear, whilst they’re having their hips ‘opened’. Thai massages are fantastic, well worth a try and are incredibly relaxing. We don’t want to put you off, but more prepare you for the flexibility the masseuse will awaken within you! 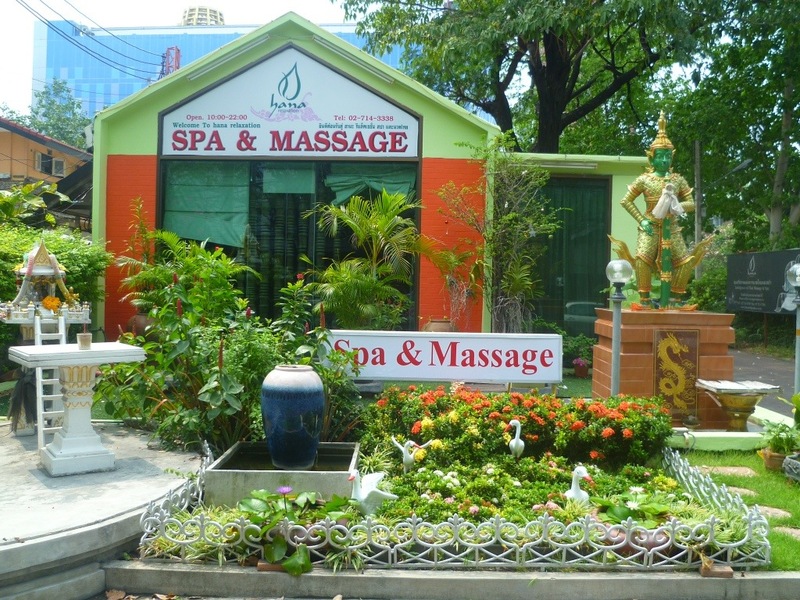 This entry was posted in Thailand and tagged advice, bangkok, herbal, massage, masseuse, oil, parlour, tea, thai, thailand, two one way flights by Two One-Way Flights. Bookmark the permalink. Hahahahaha, I died laughing, this is hilarious.